An ERP-system contains an enormous amount of valuable data, capturing exactly how your business is doing. But what you need is getting it to tell you how you are doing. 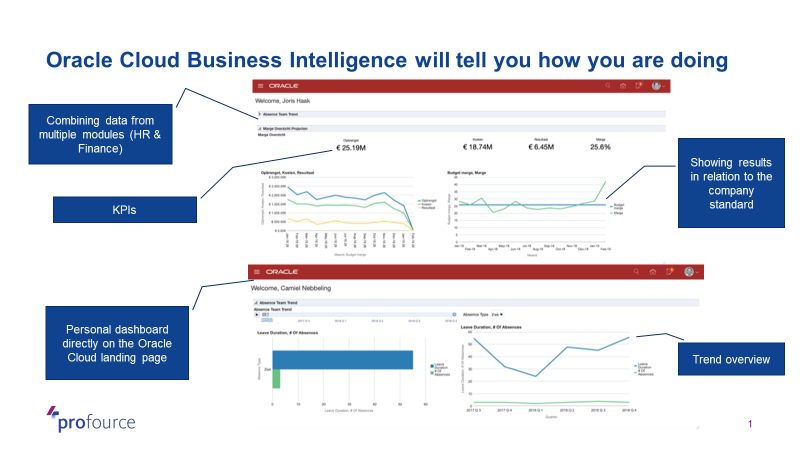 Oracle Cloud Business Intelligence can do this for you. The data you need is already in the system, and so are the tools to unlock and present the information. 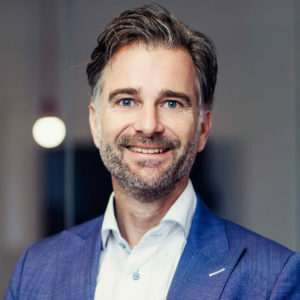 Utilizing years of Profource can help you configure Oracle Cloud Business Intelligence to support your business goals on every level of the organization. Oracle Cloud can provide you with a clear view, from multiple angles, on how your business is doing in relation to your business goals. With Profource this can be displayed directly on your homepage in Oracle Cloud. Customizable dashboards can be tailored to your business needs for optimal insight. Oracle Cloud Business Intelligence comes as standard. This enables you to turn data into information, combine information from multiple modules in graphical dashboards, and present user-based information directly on the personal landing page in Oracle Cloud. To accelerate customized dashboard development, Profource contains a wide range of pre-developed reports. Utilizing years of experience, these reports can be combined and adjusted to your specific business needs. GL budgets and project budgets need to be entered on the detail level where you want to report. General standards are more difficult, e.g. for margin, % sick leave, average sales price. The current option is to store them in the report itself. This needs further research. Average prices that can be related to a budget can be determined by entering a budget quantity (statistical journal) next to a budget amount.